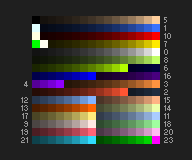 My TC in development uses a 256-color palette called IDX8_L that consists of 23 hue-saturation doublets listed below. I publish this page in order to provide detailed information about my color choices, as well as to let potential modders know the designations of each hue. The hues are listed in the look-up conversion order (not palette order) to match some of the original Duke pals as close as possible. 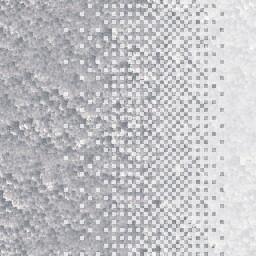 All RGB values are normalized to 255; the correlated color temperatures are approximate. 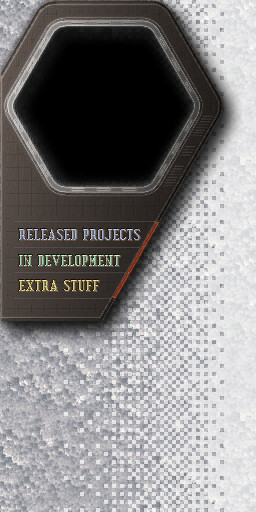 For all colors to be displayed properly, your monitor's color temperature should be 7500 K.
The IDX8_L palette with 23 color sequences shown, as well as game palette numbers they correspond to. Five special colors (superblack, transparent and three near-white colors) do not belong to any sequence. The brightest shade of green was moved off to make room for the transparent color. 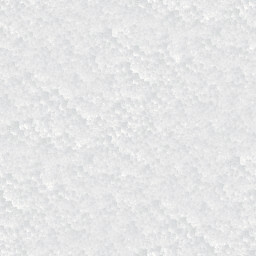 0 WHITE 255, 255, 255 16 Defined as 7500 K; usual for an overcast day. 1 AZURE 59, 115, 255 15 Usually referred as sky-blue color, though real skies are less saturated. 2 SCARLET 255, 85, 51 12 Shade of red tending to orange; vermilion color. 3 INCANDESCENT 255, 147, 64 12 2800 K, typically emitted by incandescent lamps. 4 VIOLET 144, 0, 255 12 "Electric" violet, a mixture of red and blue that mimics the 400 nm wavelength. 5 PALE BROWN 255, 207, 156 15 4300 K, the color of "cool white" fluorescent lamps; also the color of moonlight (albeit it appears bluish due to the Purkinje effect). 6 LIME 180, 255, 0 12 Most green LEDs have this color. 7 YELLOW 255, 234, 0 14 Fully-saturated golden yellow. 8 GREEN-YELLOW 194, 255, 103 16 Vegetation in overcast day. 9 BEIGE 255, 233, 226 8 6000 K, typical daylight. 10 RED 255, 0, 0 15 Primary color. Radiated by low-temperature sources. 11 PALE BLUE 170, 204, 255 8 25000 K, close to the color of an infinite temperature source. 12 RAYLEIGH 132, 181, 255 12 Approximate diffuse color of Rayleigh scattering (I ∼ λ-4). 13 AMBER 255, 101, 0 8 1800 K. Color of an amber light or candle flame. 14 PALE GREEN 236, 255, 171 8 Some vegetation. 15 BROWN 255, 180, 133 8 3800 K, radiated by some HID lamps. 16 DEEP BLUE 0, 0, 255 12 Primary color. Represents high-energy visible light. 17 KHAKI 255, 235, 125 8 Flax/light khaki color. 18 GREEN 160, 255, 160 8 Vegetation in twilight or shadow. 19 MAROON 255, 100, 119 8 Dark pink color. 20 LILAC 255, 187, 240 8 A pale pinkish shade of violet. 21 CYAN 48, 220, 255 8 A tint usually caused by water absorption. 22 PURE GREEN 0, 255, 0 8 Primary color. Uses palette #23 instead of #22 to maintain compatibility.